Student residents hate friction, they want to access whatever they want, whenever they want to, on whichever device they choose with no additional steps required between the initial thought and the final result. Student Housing Internet delivery systems should be designed for ‘zero friction’ in the User Experience (UX). 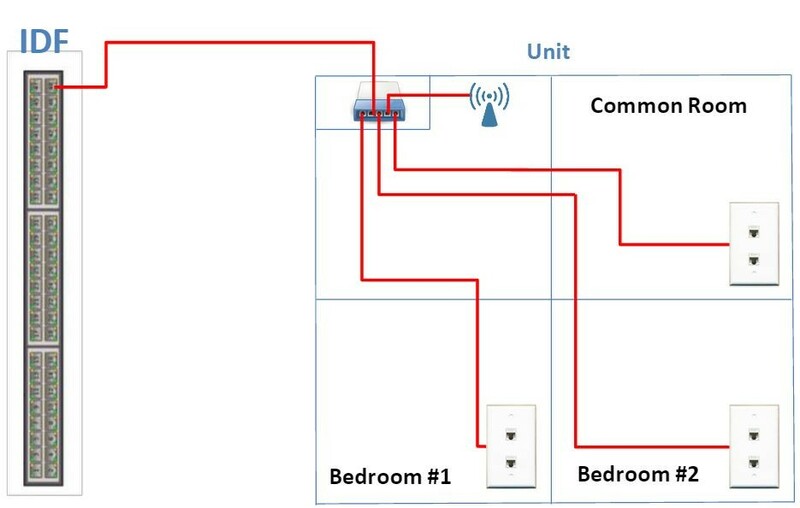 The design of a student housing Internet access system, either wired or wireless, often includes the requirement for the student to log on to access the Internet, or to register the device that they are using to obtain permission to access the network. The reasoning behind the need for login or registration is sound; the network operator wants to know who is accessing the network using which device so they can take remedial action if something goes wrong. Unfortunately this approach has two drawbacks: firstly it generates many help desk tickets, especially at the crucial movein period, and secondly, residents dislike it because the mechanisms used frequently get in the way. The typical student housing resident is looking for a completely frictionless experience. fric·tion·less ˈfrikSHənləs/ adjective not impeded by or creating friction; smooth. 1. achieved with or involving little difficulty; effortless. In most cases, thankfully, it is possible to operate a student housing network in a near-frictionless manner. Current network management tools and techniques give us the ability to remove the friction from user’s access while maintaining network integrity. The result will be happier residents, and happy residents make for higher levels of satisfaction which in turn makes for better occupancy. For the purposes of this discussion, in a wired environment, we use the ‘Best Buy’ test to determine if an environment is frictionless. In the Best Buy test, a resident can buy any connectible wired device from a store, take it back to their apartment, connect it to any jack, and it just works – without them having to take any additional steps because of the network. Similarly in a wireless environment we can apply the Best Buy test in the same way, with one small caveat – in common with almost all wireless networks, a wireless password may be required when first connecting (and only when first connecting). Common objection to this approach #1: Too many wireless devices connected at once will make the system slow for others. The answer to this is simple: design your network with adequate density, plus some headroom. 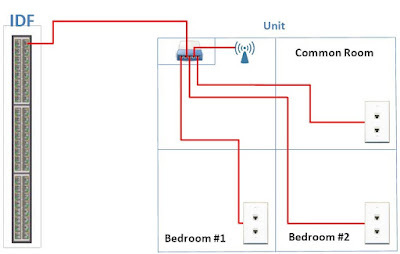 Your network design should allow for at least ten wireless devices per bed space. Common objection to this approach #2: We need residents to register devices that do not have browsers (e.g. Game consoles) as we have no way of making them log on. Don’t make anybody log on, then you don’t need this at all. Common objection to this approach #3: We need residents to log on (authenticate) in case one of them gets a virus, so we can tell where they are to take action. The network management tools used should allow the network operator to determine the physical location (apartment number) of any device on the network, and isolate it if needed, without authentication. All ethernet switches and managed wireless access points can do this; a good network management system can do this automatically. Common objection to this approach #4: We need to be able to identify rogue (unauthorized) wireless access points to prevent them interfering with legitimate wireless traffic (interference). Almost all enterprise or carrier grade wireless management platforms will identify rogues, and most will take over-the-air automatic remedial action. Common objection to this approach #5: We want to be able to slow down or turn off someone’s Internet access if they don’t pay their rent. There are other ways of achieving this, but in reality, you may want to reconsider using this as a sanction. In student housing, in general, Internet access is provided as an amenity. Affecting access to the Internet in the case of late payment makes a direct linkage between rent and the Internet service. That could lead to residents claiming they can withhold rent if there is an Internet problem. Moving to a frictionless model can be a testing experience. Letting go of familiar controls and procedures is always challenging – but the technology and expectations of student housing residents have moved on, and student housing networks have to move on as well. 1. Are there enough wireless access points to allow ten or more wireless devices per bed? 2. Can the network operator locate an individual device in the building, and isolate it? 3. Are your wireless access points part of a managed system, and can that managed system identify rogue wireless access points, and isolate them? Passing the Best Buy test and going frictionless is a great way of improving resident satisfaction with very little effort, a true ‘quick win’. A note about new construction: Our recommended best practice is for all new construction to be designed as frictionless right out of the box. Designing for a frictionless user experience should be no more expensive, but will positively affect resident satisfaction immediately. When might a frictionless design not be appropriate?There are some circumstances when you might need to use authentication, although these are relatively unusual. The first is if Internet is not provided as an amenity: in that situation you would need to ensure that people using the Internet had paid for it. The second is in a very dense urban environment where others might learn the password for the wireless SSID and use it from outside the property – however these are rare circumstances. If you have any questions about the frictionless user experience or the contents of this white paper, please contact us. Using the correct wiring design for purpose built student housing is a crucial part of delivering an outstanding wired and wireless experience to student housing residents, and can be cost effective too. The best practice for wiring a student housing apartment is not necessarily the obvious one, but when all the components of the system are taken into account it will definitely be the most reliable and the most cost effective solution. Although most residents connect to the property network wirelessly, the wireless connectivity can only be as good as the wired infrastructure that carries the network to each wireless access point. Adopting best practices for wiring will provide a solid foundation for delivering an excellent user experience (UX) for residents. If you’re designing or building a new student housing property, or doing a major renovation, the chances are you may have a design that looks like figure 1 above. This is a traditional MDU design, and it is based on a set of criteria that are important to multifamily. In this issue, Broadband Communities showcases UP at Metroplex, a student-housing complex in Vestal, N.Y. As part of an overall renovation, Newman Development Group, the property owner, installed state-of-the-art wired and 802.11ac wireless broadband infrastructure that will meet student needs well into the future. Thanks to Jerry Wojenski of Newman Development Group and Andrew Marshall of Campus Technologies for providing the information for this profile. 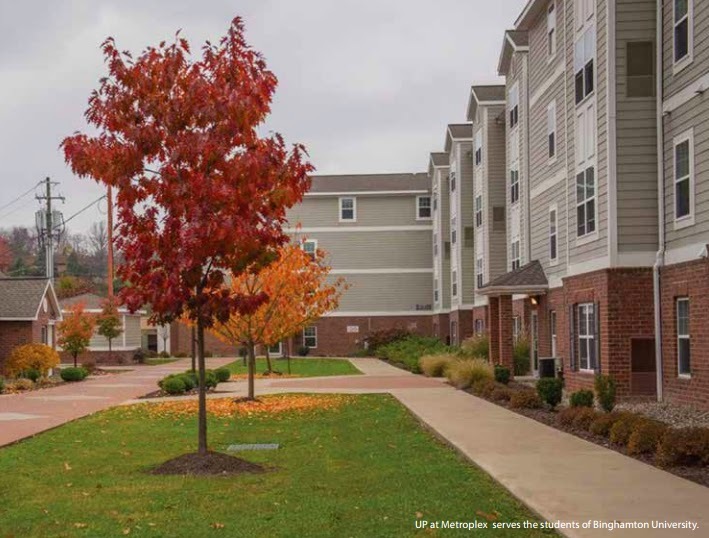 Back in the early heyday of student housing, the Newman Development Group (NDG) developed a student-housing project in its hometown of Vestal, N.Y. The housing was intended to serve students at Binghamton University, part of the SUNY system. NDG partnered with the property manager, Ambling Management Group, and the owner, Binghamton University Foundation, to build the fourbuilding complex, then called University Plaza. The property was advanced for its time – it was completed in 2004 and opened in 2005 – and was popular with students. A decade later, however, it no longer looked so advanced. The clubhouse was small, the amenities were unimpressive, the furniture and appliances showed signs of wear and, most important, the broadband was not up to par. Students are avid movie watchers and gamers, and they increasingly rely on broadband for coursework. Wojenski explains, “Binghamton tries to get its students to graduate on time, and it maximizes the experience by keeping class time dedicated to lectures and hands-on research. After hours, the students complete their coursework through Blackboard [a learning management system] and do their quizzes online. To take a quiz online, a student needs reliable Internet service.” In addition, students do most of their research online today. “No one goes to the library anymore!” Wojenski says. Eventually, the foundation decided to exit the housing business, and in August 2014, NDG, which by then had developed many other student housing projects, purchased the property and decided to bring it up to date. “The first thing on the list to take care of was to completely modernize the connectivity to provide new Wi-Fi and the best service out there,” Wojenski says. NDG turned to Campus Technologies, a leading technology provider to both on- and off-campus collegiate housing, to design, construct, operate and support the new network. NDG had worked with Campus Technologies on a previous student housing project, and Wojenski describes the technology solution there as “innovative.” This time, NDG presented Campus Technologies with a formidable challenge: completely replacing the technology solution over the students’ winter break. PHILADELPHIA, PA – Campus Technologies Inc, a leading managed network provider and system architect of high capacity resident wired and wireless Internet Access networks in residential student accommodation, today announces the start of its first network build out for 2015, setting a new benchmark for Student Housing networks. Andrew Marshall, CEO of Campus Technologies Inc, says "In 2015, Student Housing networks are facing many new challenges. Bandwidth is always an issue, but having enough Wi-Fi capacity today and in the future is also a key to success"